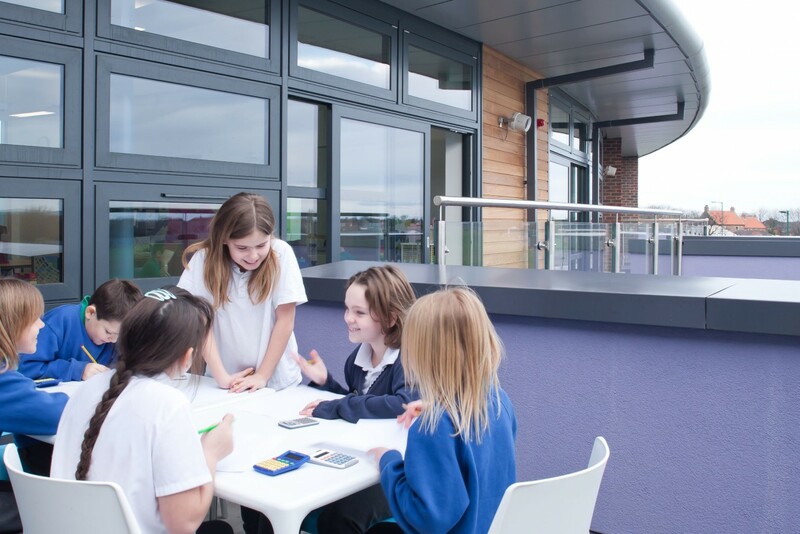 Dormanstown Primary School aims to provide a teaching environment and curriculum to meet the needs of all pupils and the community. A key objective was the creation of vibrant and welcoming school intent on raising individual achievement and self esteem. 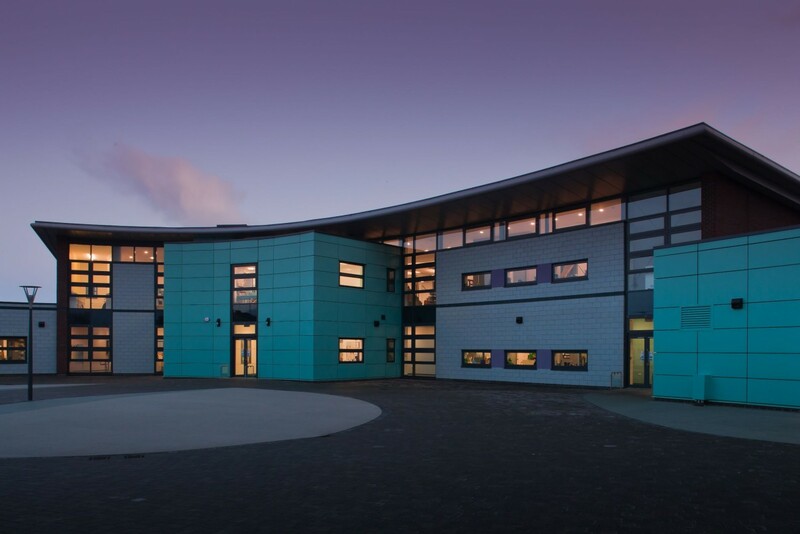 The brief required nursery and primary pupils as well as a 50 place SEN unit with the feel of ‘one whole school’. A fundamental principal was the creation of independent zoning strategies for three discrete functional elements of the building (foundation unit, main school and community sports/arts block) in order to allow these areas to be used independently, in groups or as a whole depending on activity and time of day. The new school generates an open aspect which draws in the parent population by creating an open ‘threshold’ space in the form of the public realm. 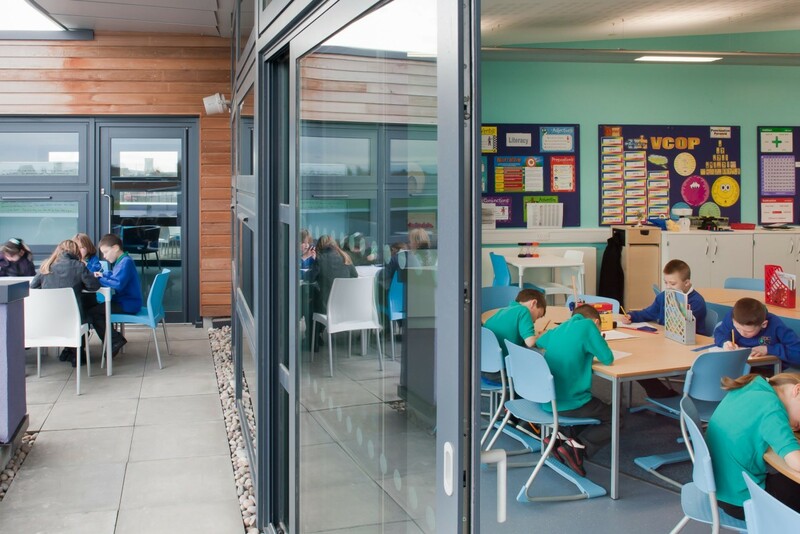 The site zoning strategy has been very successful with an open public space to the front of the school and south facing classrooms, all opening onto an external learning environment to the rear. The secure line is formed by the school building, with students, teachers and members of the community all able to directly access separate entrances to the three key zones. This allows for a comprehensive use strategy.